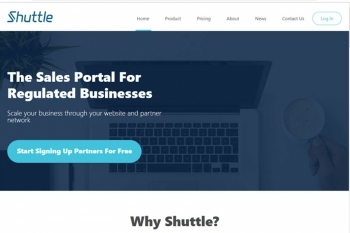 Shuttle is a sales portal built for regulated businesses to drive both direct and partner sales. It eliminates the time-consuming manual process of signing up customers and accomplishing KYC and AML checks. 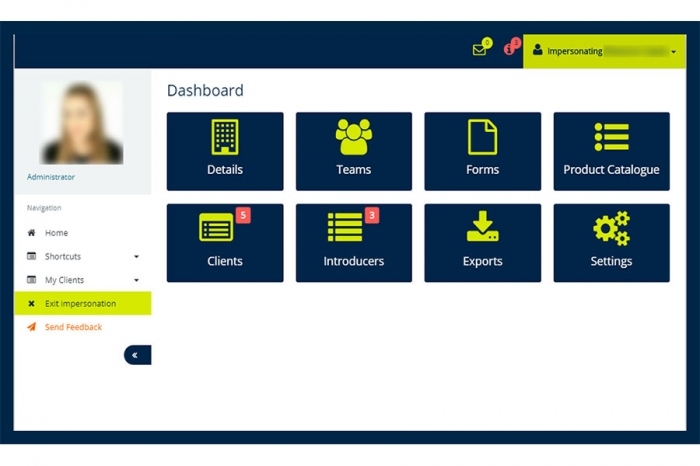 The tool provides a real-time digital solution for your customers to complete forms, sign agreements and communicate. To save more time, the apps sync data to your existing CRM system and provided in a white-label basis. Furthermore, you can optimize credit and background checks with the Shuttle’s partnership with Credit Safe, Equifax, Passport Proven and Onfido. 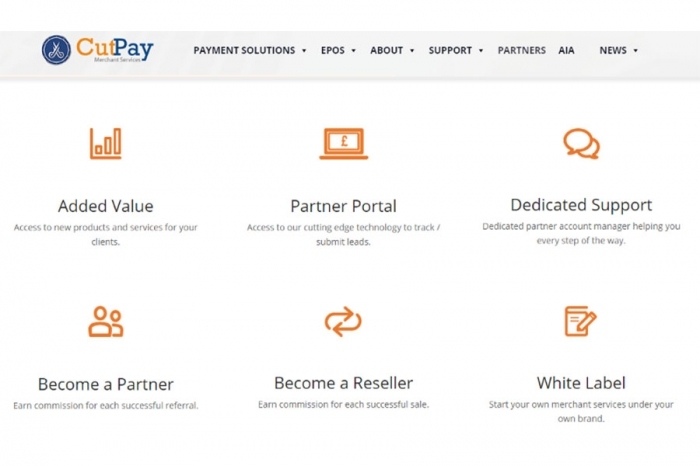 This functionality enables you to facilitate instant ID verification. Shuttle offers a free Partner Sign Service. 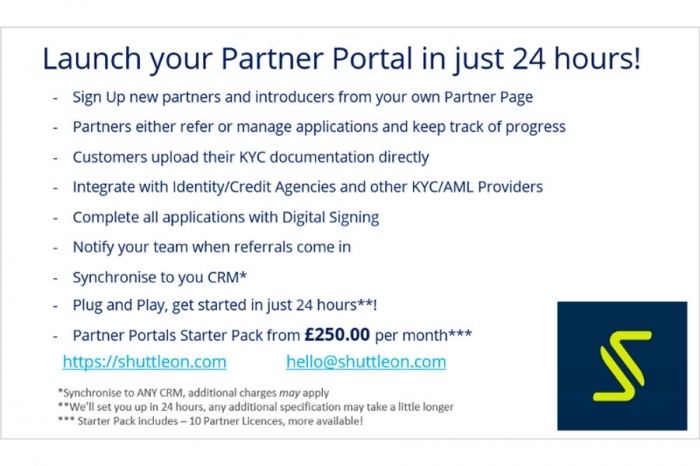 Users can directly sign up their partners and introducers and self-onboard right on their website. Shuttle goes beyond creating basic “Contact Us” forms. Instead, it empowers users to build digital forms that accept and gather inquiries right from your website. Here you will gain immediate insight into your customer profile, company structure, and SEIC. Shuttle’s Partner Portal lets you open new channels easily. Partners suchBrokers, Introducers, and Intermediaries can sign up on the website. This is also where they can complete your KYC requirements. Once the account is open and ready, partners can seamlessly refer and manage applications dependent on their customer relationship. Meanwhile, monitoring the progress and commission status is streamlined. Shuttle helps you get to a lending decision faster. You can easily get all the necessary information you need for KYC. 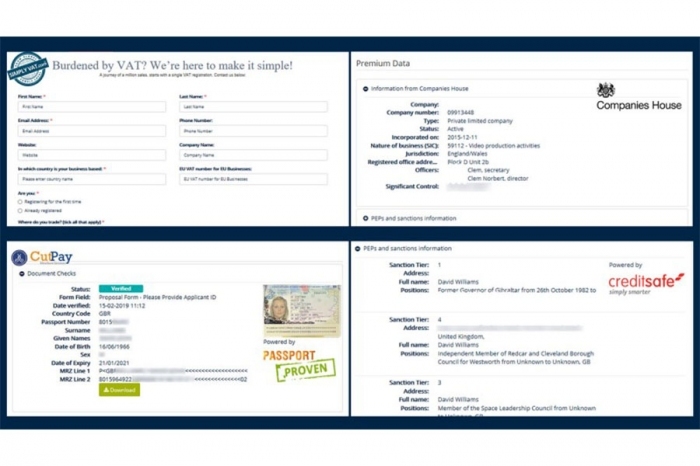 Furthermore, you can access API feeds from Equifax, CreditSafe, Onfido, Companies House and Passport Proven to consolidate key decisioning certificates at source.